The centre electrode is from nickel alloy filled with copper core with high heat conductivity what enables to optimize thermal balance of active parts of spark plug. Perfectly covers engine's demand at both low speeds driving with prevalence of cold starts and long-running highway driving. Complete product range for sale consisting of field-proven types of spark plugs with electrodes from yttrium alloy and with constructional correction which improves flame front propagation and reduces voltage demand. It covers 97% of car fleet. 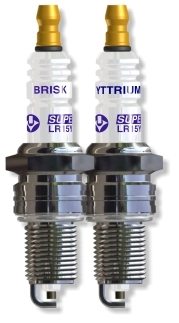 Optimization of the basic assortment of spark plugs needed for installation on most engine types. Single electrode wide-range spark plug,with center electrode from Yttrium alloy with high resistance to burnings. 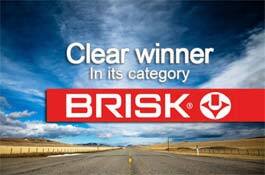 Perfectly meets engine demands in all operating modes. Constructional adjustment of ground electrode into shape of letter "A" improves flame front propagation in the initial phase and reduces demand on voltage supplied by ignition system. Wide range spark plug, with two electrodes and with center electrode from Yttrium alloy with high resistance to burnings. Opened spark gap improves mixture ignition in the initial phase of combustion process. Two ground electrodes enable spark-over from burning deposits on insulator tip and reduce possible misfiring of the mixture. Three-electrode wide range spark plug, with center electrode from Yttrium alloy and with high resistance to burnings. Opened spark gap improves mixture ignition in the initial phase of combustion. Three ground electrodes enable extension of change interval up to 70.000 km. One-electrode wide range spark plug with center electrode with Platinum contact and ground electrode from Yttrium alloy. 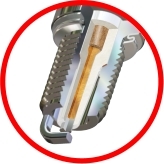 This configuration enables optimize the thermal balance of active parts of spark plug such a way that it covers engine needs under all operating modes for a very long time period. Constructional adjustment of ground electrode improves flame front propagation and reduces demand on voltage supplied by ignition system.